I read this article and found it very interesting, thought it might be something for you. The article is called Jersey Giant Chickens and is located at https://www.chickencoopguides.com/breeds/jersey-giant-chickens/. If you’ve always dreamed of having your very own flock of chickens roosting in your backyard, it’s easier than ever to get started. Today’s hobbyist chicken farmer has a wealth of resources to help choose the perfect breed of chicken. Many backyard chicken farmers like to have a variety of chicken breeds in their flock for different purposes. Some chickens have the best eggs, some are great for meat and other chickens are great companions. One great breed that you may want to get started with is Jersey Giant chickens. This large chicken can be a fun addition to your family. 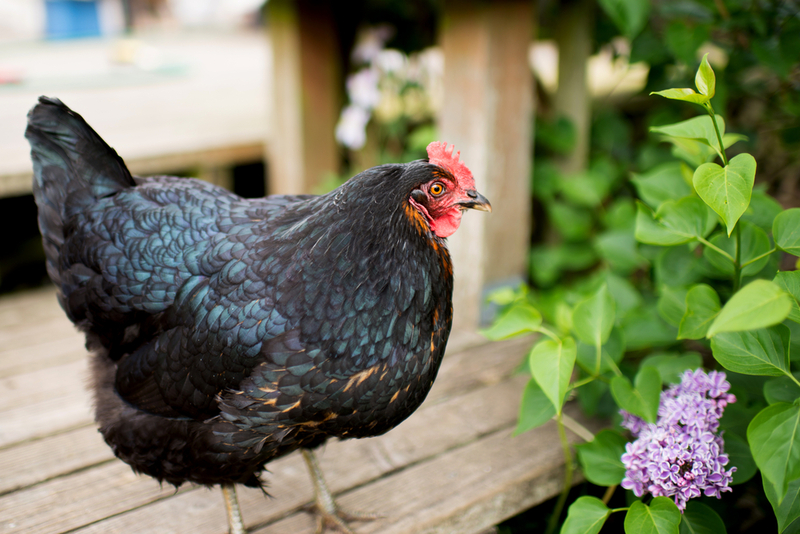 Pet Potential – While Jersey Giants may not be the best chicken to choose if you want a pet, they are pretty docile. Females can be broody with their eggs, but males are generally easy going. Egg and Meat Possibilities – Because this breed of bird is so large, Jersey Giant chicken eggs tend to be larger than average. Hens may lay about three or four brown eggs per week. The meat potential for this bird is optimal because of their large size. Appearance – Many farmers enjoy this breed simply for their look. Males can grow up to 13 pounds, and females grow to 10 pounds. Their feathers can appear in a selection of colors and patterns, which make them a great bird for showing. Weather Considerations – Jersey Giant chickens are adaptable during the coldest temperatures during the year, and they can also continue to lay eggs regularly as winter gets bad. Space and Feeding – Jersey Giant chickens have a rather large appetite, so you need to give them plenty of access to food and clean water. They also may require more than the average amount of space in the coop, since they are larger. Predator Problems – This bird’s large size doesn’t protect them from predators. Instead, it makes them more of a target. Be sure your coop is protected with extra chicken wire or coverings. Sturdy and Clean – It’s important to build your coop with strong materials for these heavier birds. It’s also vital to keep the coop area clean and pick up droppings more frequently to avoid disease from spreading through your chickens. If you want to try raising a large bird with great potential for meat, Jersey Giant chickens may be the right breed for you. While you are raising them, you and your family can enjoy their beautiful look and interesting personality.